You will be met on arrival at the airport in Sofia and transferred to your hotel. In the evening, we meet for our welcome dinner and orientation. Today we explore the main sites of Sofia. The history of Sofia as a town began in the last millennium B.C', as it entered the Iron Age. Centuries earlier, when bronze technology had been mastered, the horse domesticated, and the advent of wheeled vehicles which could go fast, all contributed to the migration of tribes and nations all in Europe. The Thracians had already left their mark of a permanent presence in the Sofia Basin. The city became the capital of Bulgaria in 1879. We see the ruins of the Roman town and walk along the Roman streets, passing the temples of several different religions, located in this part of the town -"St. Nedelia" and "St. Petka" - Eastern Orthodox churches, "St. Joseph" -a Roman Catholic church, Banya Bashi mosque and the Synagogue. We visit the first covered market in Sofia - "Central Halli" and the Sofia History Museum. It is located in the former building of the Central Mineral Baths. We then continue along the massive administrative buildings created by one of the first great projects of the Communist Party and pass by the office of the Bulgarian President. From here we will visit one of the oldest churches - the Rotunda of “St.George” and continue to the city garden with the National Theatre. From the garden, we follow the 'yellow- brick' road and pass by the Russian church of "St. Nicolas" as well as the Central Military Club. We visit St.Alexander Nevski Cathedral -one of the largest Eastern Orthodox cathedrals in Europe, and the church of St. Sophia, built by the Roman emperor Justinian in the 6th century. We commence our day at Bulgaria's greatest known heritage site, the eastern orthodox Rila Monastery, founded in 927 A.D. Our 2.5-mile walk highlights the beautiful landscape near St. Ivan Rilski Cave. St. Ivan is said to be the most important saint in the Bulgarian Orthodox church. He lived and is buried by the cave. Rila Monastery is regarded as one of Bulgaria's most important cultural, historical and architectural monuments and is a key tourist attraction for both Bulgaria and Southern Europe. Ever since its creation, the Rila Monastery has been supported and respected by the Bulgarian rulers, and the complex acted as a depository of Bulgarian language and culture in the ages of foreign rule. The monastery complex, regarded as one of the foremost masterpieces of Bulgarian National Revival architecture, was declared a national historical monument in 1976 and became a UNESCO World Heritage site in 1983. This morning we travel to the greatest Bulgarian city, Plovdiv. As one of Europe's oldest cities, Plovdiv will amaze you with its history and sights. Here we visit the ancient Roman amphitheater, the Roman odeon and the Roman stadium. After lunch, we explore Asenovgrad Castle, a medieval fortress in the Bulgarian Rhodope Mountains. This is one of the best-preserved castles in Bulgaria. Set on the edge of a high, rocky ridge, this medieval fortress dates back to the Thracians. We return to Sofia in time for dinner. After breakfast, we depart for Skopje, Macedonia. After lunch we will visit the Stone Bridge, the St. Spas Church, Mustafa Pasha Mosque, the huge bazaar area with its famous inn, Kapan Ann, and the main street with its modern statues, which was part of the "Skopje 2014" project including statues depicting the most important historical figures of Macedonia, including Alexander the Great. Macedonia was part of former Yugoslavia, from which it gained its independence in 1991. The population is largely Macedonian, a slavic speaking eastern orthodox majority, but also having a 25% Albanian minority, who are largely Muslim. Today we drive to Bitola where we visit the ancient Macedonian city of Heraclea, founded in the 4th century BC. Marvel at the pristine condition of ancient buildings and palaces with their well preserved mosaics. Later, we drive to Ohrid, located on the shore of the fabled Lake Ohrid, one of the largest lakes in the Balkans. Lake Ohrid is one of Europe's deepest and oldest lakes, preserving a unique aquatic ecosystem with more than 200 endemic species with worldwide importance. It was declared a World Heritage site by UNESCO in 1979. On one of the 3 days that we are in Orchid, we will enjoy a live music performance during dinner. 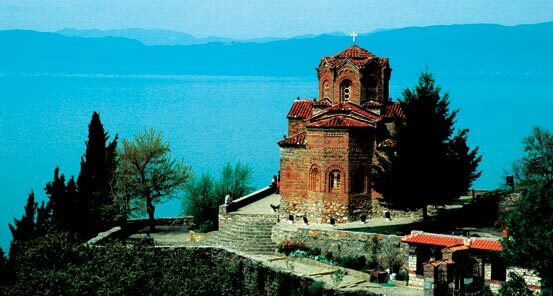 Today, we enjoy the most interesting sites in and around Ohrid. First, we visit Kalista Cave Monastery on the lakeshore, which is unique with its special settings and location. After lunch, near the lovely Vevcani springs, we return to Ohrid, where we visit the archeological site of Ploeshnik, the Church of St. Bogorodica Perivleptos and the Tcar Samoil fortress. If weather permits, we take a boat-taxi to get back to our hotel and having a waterside view of our lovely town. As today is a busy day, should we run short on time, we will have time to continue our visits on the morning of day 8. After finishing the important sites of Ohrid, we enjoy an extremely scenic drive through the countryside. 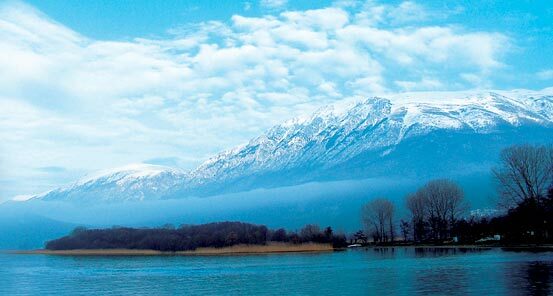 We make our way to Lake Prespa via Galicica Mountains National Park, situated between the two lakes of Ohrid and Prespa. Here, we can enjoy one of the 20 best drives in Europe, as voted by Forbes. This drive is offers splendid views in every direction. This park has a wealth of endemic flora and fauna. If we are lucky, we may see eagles, vultures, Balkan butterflies and even land turtles. Our destination is the village of Oteshevo. Lake Prespa is shared between Greece, Macedonia and Albania. In 1999, the Society for the Protection of Prespa received the Ramsar Wetland Conservation Award for its conservation efforts, primarily for protecting and breeding a colony of one of the most endangered waterbirds of the world, the Dalmatian Pelican. The area contains four national parks located in Albania, Greece, and Republic of Macedonia. For dinner, we can try the famous Koran fish (Lake Ohrid Brown Trout) which is only found in this area. Our long drive today takes us along the banks of the black Drini river, through Struga, Debar and Gostivar. We make several stops along the way including the Monastery of Jovan Bigorski and Tetova. We also visit the Arabati Baba Tekke, and the Motley Mosque (Sarena Xhamija), before we cross into Kosovo through breathtaking mountain scenery of the Sar Planina mountains. 'Albanian inhabited' Kosovo is the youngest independent country of Europe, which is still subject of a territorial dispute with the Republic of Serbia. Kosovo declared independence on February 17, 2008, but Serbia continues to claim it as part of its own sovereign territory. Kosovo's independence has been recognised by 108 out of 193 United Nations member states today. Today we drive to Peja & Gjakova where we visit the Peja Patriarchate and Decani Monastery before returning to Prizren. Prizen is one of the most scenic towns of the Balkans with a magnificent setting on the slopes of the Sar Mountains and the former capital of historic Serbia. The municipality of Prizen is still the most culturally and ethnically heterogeneous area of Kosovo, retaining vibrant communities of Bosniaks, Turks, and Romani in addition to the majority Kosovo Albanian population which also live in Prizen. This afternoon is free to enjoy this very secluded part of the Balkans. This morning we enjoy a guided tour around Prizren to learn about the recent turbulent history and enjoy views of the fortress, stone bridges, minarets and mosques. We then make our way to Albania on a very scenic road through the Albanian Alps. Today, we enjoy the Valbona Valley, one of most beautiful parts of the Northern Albanian Alps with over 8000 hectares, becoming a national park in 1996. Depending on the weather, we will have an opportunity to hike a lovely trail and visit a local family restaurant in the region. The remainder of the afternoon is yours to relax and enjoy the magnificent area near our hotel. This morning we board our small ship/ferry, cruising to Koman along the Drini river. This is one of the most magnificent river valleys of the Balkans, a real 'must see'. 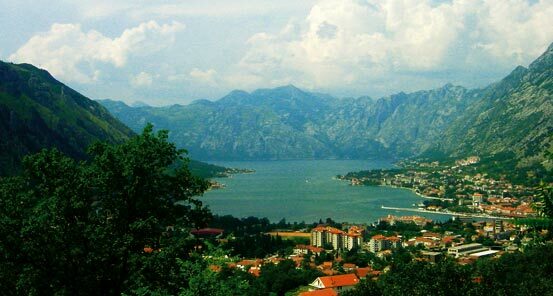 Upon our arrival in Koman, we board our bus and drive to Shkodra, located on the southernmost shore of beautiful Lake Shkoder in northwestern Albania. It is one of the oldest and most historic towns in Albania. It is a vibrant and important cultural and economic center and has a pulsating street life. Many visitors feel that Shkodra is the soul of Albania. The most attractive quarters of the city are commonly called the Pjaca. We stop quickly to take a photo of Mother Teresa's memorial statue before visiting the Shkodra Cathedral. At the sunset we visit nearby Rozafa Castle, which rises imposingly on a rocky hill, 130 metres above the sea, surrounded by the Bojana and Drin rivers. 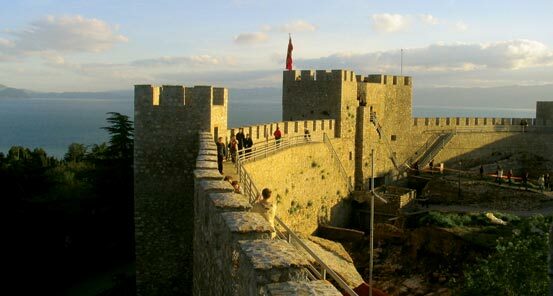 This is one of the largest and most impressive fortresses of the entire region, dating back to the Illyrian times. Here, we learn about local legends, explore the ruins and enjoy beautiful views over the rugged landscapes. This morning we visit the Ethnic Museum of Skhodra to learn about the religions within Albania. We then continue on to Lezha where we see the memorial of Skanderbeg, the most prominent figure of medieval Albanian history From here we make our way to Kruja, where we see the Old Castle and the Museum of Skanderbeg. After visiting the nearby Ethnographic Museum, we stroll through the Old Bazaar. We make our way to Tirana, the capital of Albania. Modern Tirana was founded as an Ottoman town in 1614. Tirana became Albania's capital city in 1920 and has a population of over 800,000, including the new quarters around the city. The Tirana River runs through the city which also has four artificial lakes. We arrive in Tirana just in time for dinner. After breakfast we visit the roman mosaics of Tirana, then continue to the National Museum and Ethem Bey Mosque. After lunch we drive through the ex-communist blocks and enjoy some freetime, before heading to the Headquarters of the Muslim Bektashi Sect, followed by a leisurely excursion to Mt. Dajti by cable car. From here, we enjoy our dinner with amazing views of the illuminated city, including the Adriatic Sea in the distance. We start our day with a drive to Ardenica Monastery, an Eastern Orthodox monument, which was started in 1282. The monastery has Byzantine-orthodox architecture and includes the Saint Mary Church and the chapel of the Saint Trinity. We then make our way to visit the huge Roman ruins of Apolonia, founded in 588 BCE by Greek colonists from Corfu and Corinth. The site was initially occupied by Illyrian tribes and was perhaps the most important of the several classical towns of the area, as well as an important port along the route between Rome and Byzantium. Later we drive along the mountainous roads of the Llogara National Park and the Albanian Riviera, enjoying the beautiful scenery and fantastic landscapes of the Ionian Coastline. We arrive in Sarande in the late evening. Early this morning, we take a ferry to the island of Corfu, Greece. Upon our arrival, we visit Paleokastritsa to see the local monastery. Here we enjoy commanding views of the area. We make our way through the scenic Ropa Valley and visit the New Fortress. We also visit the Achilleion Palace, built by the Empress of Austria, Elisabeth of Bavaria, also known as Sisi, wife of Austro-Hungarian Monarch Franz Joseph. She lost her only son, Crown Prince Rudolf of Austria, when he committed murder-suicide in The Mayerling Incident of 1889. A year later, in 1890, she built a summer palace with the powerful mythical hero Achilles as its central theme. This morning we visit the historic Corfu (Kerkyra) city, including the Jewish memorials. After lunch, the afternoon is yours to explore the streets and shops of the city, or just to relax and enjoy the water of the Ionian Sea. After making our way back to mainland Albania, we drive to nearby Butrint (UNESCO), Albania's most important archaeological site. Butrint was an ancient Greek city and later, a Roman city in Epirus, located on a hill overlooking the Vivari Channel and Butrint National Park. Towards the interiors, we stop enroute at the gorgeous "Blue Eye" springs. The clear blue water of the river bubbles forth from a stunning pool which is more than 50 meters deep. Divers have descended to fifty meters, but it is still unclear what the actual depth of the karst hole is. Later we arrive to one of the most remarkable Albanian towns; Gjirokastra. Here, the rest of the afternoon is yours to relax or explore. This morning we explore Gjirokaster, the birthplace of former iron-fisted dictator of Albania, Enver Hoxha. Its old town is inscribed on the World Heritage List as "a rare example of a well-preserved Ottoman town, built by farmers of large estates". Gjirokastra is situated in a valley between the Gjere mountains and the Drino River. 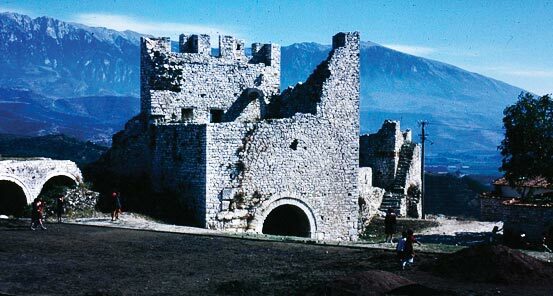 The city is overlooked by Gjirokastra Castle, which includes a pre-Ottoman citadel with a weapons museum and former political prison. We also visit an Ethnographic museum, housed in the building in which Enver Hoxha was born. Later we drive to Berat along the Drives river, one of the most scenic river valleys of the country. This morning, we explore Berat, which lies on the eastern bank of the Osum river. 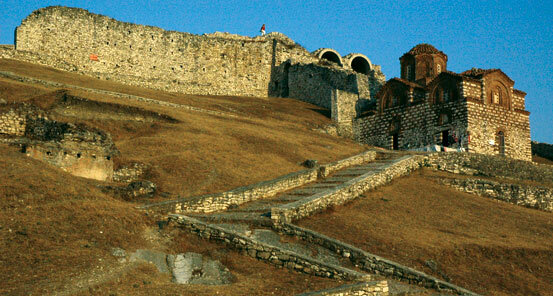 Berat has a wealth of beautiful buildings of high architectural and historical interest. Berat is known to Albanians as "The City of a Thousand Windows" or "The City of Two Thousand Steps". It was proclaimed a 'Museum City' by the dictator Enver Hoxha in June 1961. We visit the citadel on the top hill of the city and Onufri Museum, which has 16th century mural paintings by Onufri, Albanians most famous Medieval painter. We also see the Ethnographic museum, the King's Mosque, and the Bachelor Mosque or the Helvetian Tekke, which was built in 1782. After lunch, we drive to the second largest city in Albania, Durres, which sits on the Adriatic Sea. The city is located on the central Albanian coast, where we visit the Roman amphitheater and archaeological museum, before making our way back to Tirana in time for our farewell dinner. Today we say goodbye to our new friends and the wonderful adventure we had as we transfer to the airport for our onward journey.